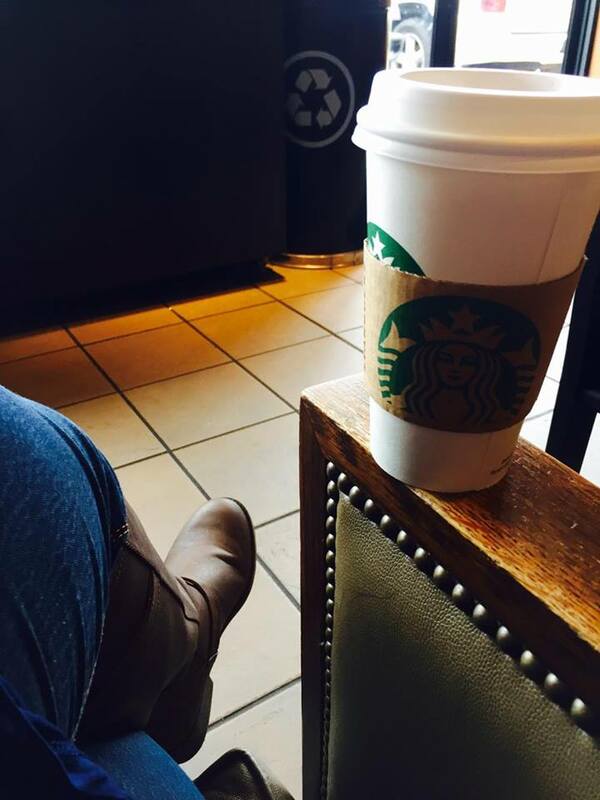 7 Quick & Easy Ways For Moms To Pay For Their Starbucks Habit! With so many Starbucks locations popping up all over, I thought it was important to help you continue to support your habit without digging into your bank account all the time. And since so many of us spend large amounts of time online why not pay for your Starbucks with it. Before I became a blogger I was always online doing little things to make extra cash. I wasn’t necessarily looking for the jackpot, but just enough to do small things like order pizza, have extra gas money, go to the movies, or support my Starbucks addiction without taking away from our main household budget. Of course the internet makes it easy to sell things and make things, but if you don’t have time for that I wanted to share ways that you can literally earn extra cash from your phone and doing little tasks online that earn you money (not anything huge, but enough to pay for Starbucks)- starting literally today. The best part is you can do these when the kids are around. This has absolutely got to be my favorite. They send you questions to your phone, you select your answer, and they pay you .25-.50 cents per response INSTANTLY via PayPal. There is no typing out answers or anything. In fact today I got sent 5 questions at one time and made $1.25. It’s not a lot of money by far but every bit adds up. I will say that since I chose the .25 payout I get more questions. The screenshots above are screenshots of payments and questions received today. Sign up HERE. This particular company is owned by a military family and often has shops at military bases nationally. They are looking for military spouses. Sign up here. So basically business owners put these small menial tasks up that they need people to do. They pay a few cents per task. Tasks include things like transcribing voice messages, or looking at two images and typing what you notice different between them. Some pay $0.05 whiles others may pay $1.00. The good thing is that they are easy and can be done quickly. The money you make can be withdrawn or used on Amazon. Sign up here to get started. Is another one similar to Amazon Mturk but in my opinion more updated. They work with several major brands including T-Mobile and Honda. You are doing small quick tasks like the ones above. Payment is weekly. Sign up here. Military spouses spend alot of time taking pictures with their cell phones and definitely spend a lot of time on IG. Download the Foap app and sell your random pictures of sunsets through their marketplace. Download Foap app here. Fiverr is amazing not only for business owners who need tasks done cheaply but also good for those of you who have something you do well. Can you write articles quickly, have a good speaking voice, know how to create cool letter on MS Word? If so you can charge customers $5 in the Fiverr marketplace to do these random things. Those are just examples because the types of services you can offer are endless. You can also create add ons so that you can make more money. Sign up here. Love music? Listen and review clips of music and get paid for it via PayPal weekly. Sign up here. Krystel Spell is a contributor to The Mommy Cooler site. Krystel is the mom of two and an Army Wife. In addition to Army Wife 101 she is the Co-Founder of TheSpouseBox.com (a monthly subscription box for military spouses) and VP of Branding and Outreach for MSBNewMedia.com She has appeared on MSNBC, FOX LA and formerly was a weekly contributor to HLN’s “Raising America”. She has written for various outlets including Sheknows and Lifetime and is a big fan of cupcakes and French fries. To follow Krystel, go to her blog ArmyWife101!